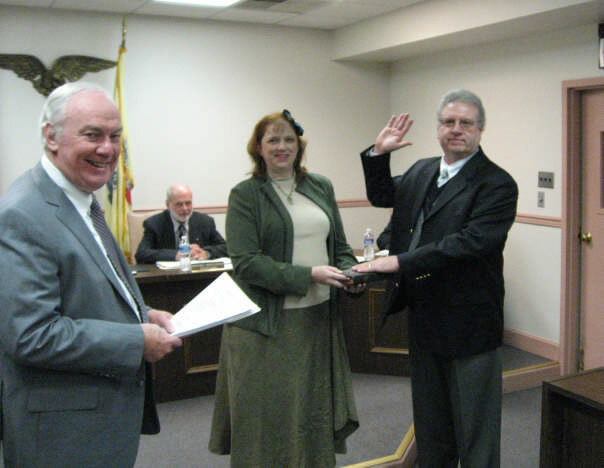 January 3 – Mayor Ed Campbell (upper left) takes the oath of office for a new four year term from Solicitor John P. Jehl with wife Pam in the middle. 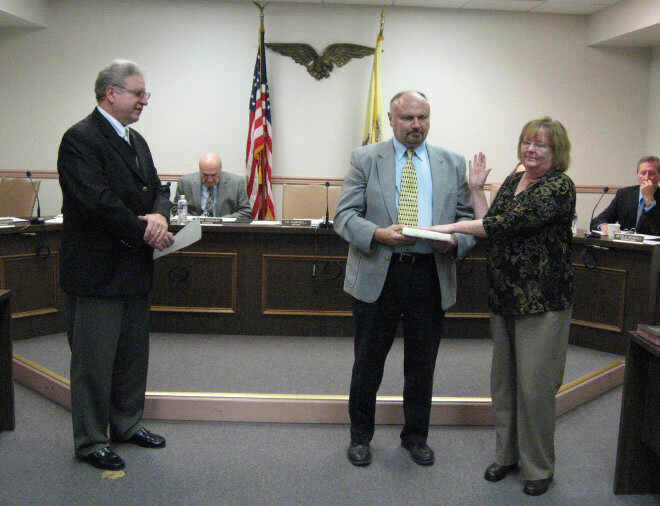 Mayor Campbell administered the oath of office to Councilwoman Margie Schieber with husband Frank. 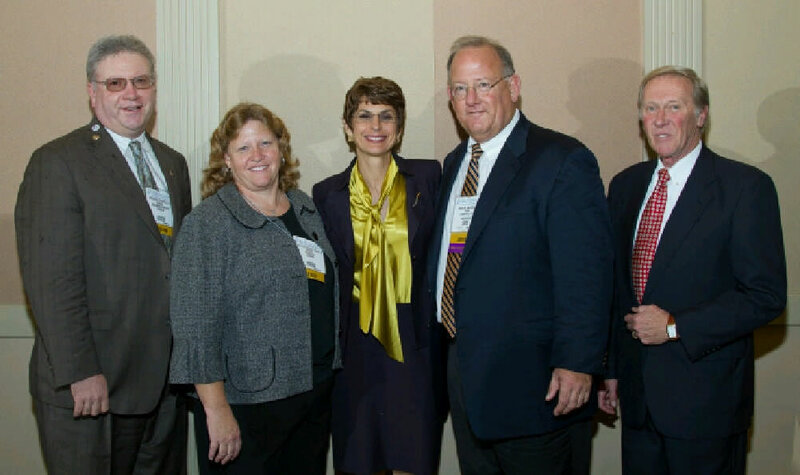 November 16 - Mayor Campbell (left) with other Gold Level inductees into the NJ League of Municipalities Hall of Fame. The Gold Level requires twenty years of service as a New Jersey Mayor.